New insights into silent inflammation, longevity and the science of functional food. Putting into practice the advice here could help reduce sickness and disease for millions. You may be lucky enough to enjoy good health until the very end of your days, but the odds are agains... read full description below. 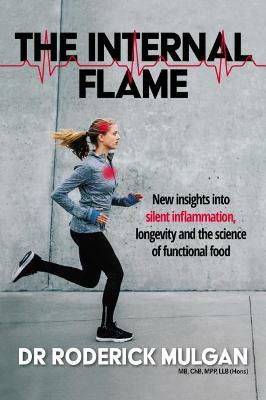 New insights into silent inflammation, longevity and the science of functional food. Putting into practice the advice here could help reduce sickness and disease for millions. You may be lucky enough to enjoy good health until the very end of your days, but the odds are against it. As you get older, the chances go up that something big, like a stroke or cancer, will drag down your quality of life. If you're already leading a healthy lifestyle, there's still more you can you do to fight sickness and disease. This is the story of inflammation and health-what goes wrong as we age, and what you can do about it.